The Financial Conduct Authority (FCA) has announced a deadline of 29th August 2019 for consumers to make a claim for mis-sold PPI. You may have seen the FCA’s advert on TV starring an animatronic model of Arnold Schwarzenegger urging people to make a decision on whether to claim. Consumers need to have started their claim before 29th August 2019 to check if they’re eligible for compensation as any claims after this date will be rejected. When the deadline was announced FCA figures stated that only £27 billion had been reclaimed, despite estimates calculating the total cost of mis-sold PPI at around £64 billion. Why has the FCA implemented the deadline? The final deadline has been set by the FCA in an effort to draw a line under one of the UK banking industry’s biggest scandals in recent times. It is estimated that 64 million PPI policies were sold to around 30 million consumers between 1990 and 2010. Despite these astronomical numbers, as of August 2017, only 12 million people had claimed on mis-sold PPI policies and with the deadline looming, time is running of out for consumers to reclaim compensation they could be rightfully owed. How does the deadline affect you? The FCA’s deadline now means that customers have just 18 months to claim on mis-sold PPI. The time to act is now, and you can begin your claim by initiating a free PPI check with We Fight Any Claim here (insert link). Any claim made after the 29th August 2019 deadline will not be considered by the banks’, so be sure to start your claim as soon as possible. Any claim that is started before but is still ongoing after the deadline will be eligible, but we advise not leaving it until the last minute! It is no lie that the banks’ have dragged their heels over paying out compensation, and with billions still owed to millions, we believe the FCA’s decision to implement a deadline is unlawful, and fundamentally wrong. They’re supposed to protect consumers, not the banks. Since 2010, We Fight Any Claim has helped over 200,000 customers obtain more than £500 million in compensation offers and will continue to do so until the deadline. There’s a huge number of consumers who have yet to claim and are probably unaware that PPI was mis-sold to them (84%* of our new customers were unaware that PPI had been added to their agreements). As one of the market leading claims management companies, our experienced claims handlers have the knowledge and experience to help you get the best outcome. 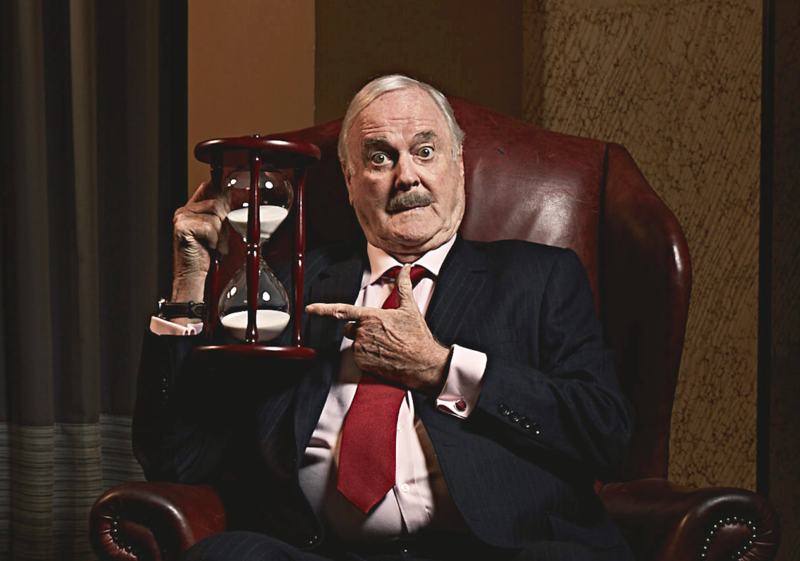 John Cleese agrees with our stance on the deadline and our efforts to ensure consumers are compensated with what could be rightfully theirs. You can see John Cleese speaking on the topic here. If you’ve had a claim rejected previously, there’s a new way to claim. The recent Plevin ruling by the Supreme Court means that banks must now compensate consumers for undisclosed commission payments taken as part of selling PPI, even if their claim for mis-sold PPI have already been rejected. The ruling means that millions more are able to claim compensation, as often banks took over 50% in commission without disclosing this information to customers. The FCA’s deadline applies to Plevin claims, so make sure you begin your claim before 29th August 2019, as any claim made after this date will not be considered. Citizens Advice launches a super-complaint, labelling PPI a ‘protection racket’. The Financial Services Authority mystery shopping exercise reveals failings. Office of Fair Trading investigates PPI, then refers it to Competition Commission for more in-depth probe. FSA fines lenders over PPI failings, including £7m on Alliance & Leicester. A form of PPI known as ‘single premium’ is banned by the FSA. New rules cracking down on how PPI is sold are introduced and the Competition Commission bans sale of PPI at the same time as loans. The High Court rules that customers can claim for mis-sold PPI going back many years. Lloyds Banking Group are the first to decide not to appeal, other banks follow. Lloyds is fined £4.3m for delaying payouts. Landmark Supreme Court ‘Plevin’ judgment around unfair commission. Financial Conduct Authority fines Lloyds another £117m over mishandling claims. FCA says it wants to apply a two-year deadline to PPI claims 2017. We Fight Any Claim take FOS to court over the failure to apply complaint handling rules. FOS agrees to re-review process. FCA confirms the deadline will be August 2019. Billions are still owed to millions of people.